The Liberty 2-1/2 in. Bail Pull features a beautiful vintage bail design. A timeless Heirloom Silver finish. Helps accentuate your cabinetry. The Dual Mount Cup Pull from Liberty showcases a style that fits a variety of decor. The classic design combines with a timeless Satin Nickel finish to create a look that is both casual and refined. It provides the perfect finishing touch to your project or home makeover. This traditional design from the Bundled Reed collection is a beautiful accent to any kitchen or bathroom furniture or cabinetry. Multiple finishes available. Fasteners are sized to work with standard 3/4 inch drawer fronts and cabinet faces. Installs easily for an instant, noticeable change. 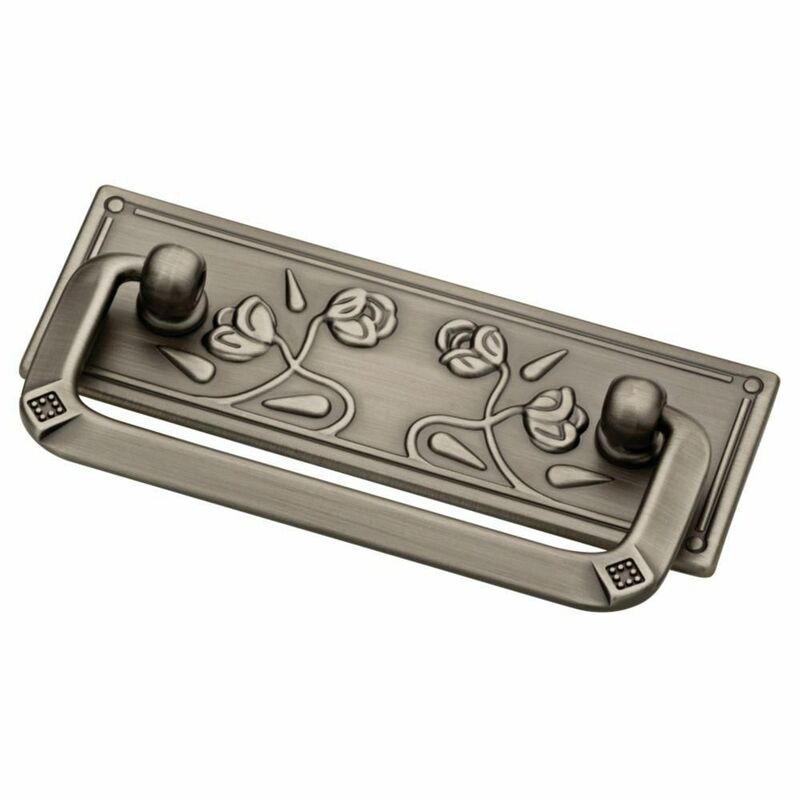 The Liberty 2-1/2 inch Tumbled Dark Gunmetal Plain Cup Pull is an excellent bridge between traditional and contemporary style. It features a 2-1/2 inch center-to-center, rear-mount design for easy installation. The metal base material is built to last and is coated in a vintage dark gunmetal finish. The Dual Mount Cup Pull from Liberty, showcases a style that fits a variety of decor. The classic design combines with a timeless Satin Nickel finish to create a look that is both casual and refined. It provides the perfect finishing touch to your project or home makeover. 2-1/2 Vintage Ball Pull, 1 per pkg The Liberty 2-1/2 in. Bail Pull features a beautiful vintage bail design. A timeless Heirloom Silver finish. Helps accentuate your cabinetry. 2-1/2 Vintage Ball Pull, 1 per pkg is rated 4.3 out of 5 by 13. Rated 5 out of 5 by David from Looks great and fit perfectly.... Looks great and fit perfectly. Rated 5 out of 5 by bedroomremake from Perfect fit for my bedroom side table. Perfect fit for my bedroom side table. Rated 5 out of 5 by Junison from Beautiful piece Beautiful vintage-looking pull. Looks great on white cabinets. Rated 5 out of 5 by Lill from LOVE this drawer pulls, very nicely built and beautiful design Easy to order, fast delivery, overall a great experience. Rated 5 out of 5 by Ham262 from The perfect touch! I bought this handle online as the finishing touch to the furniture piece I was working on. It looks great and is functional. I only wish it was in my local store because I feel the price with shipping costs was a little bit too much. Rated 4 out of 5 by Essie from Product was as pictured and I am happy with it. I was disappointed that the product was not available to purchase or view at my local home depot.